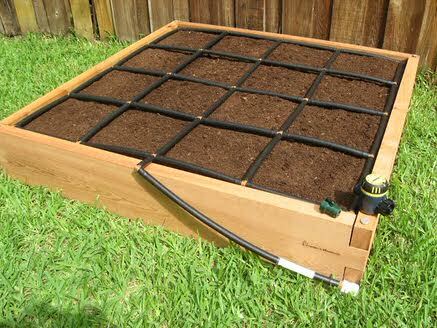 An all-in-one, expandable 4×4 Raised Garden Kit with its own watering system! 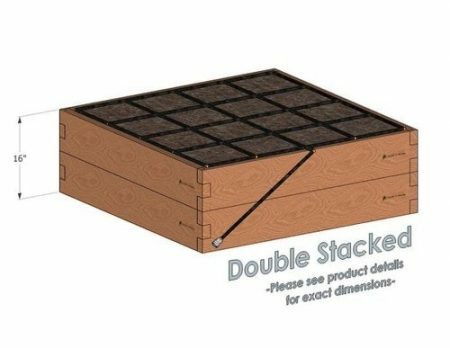 Our handcrafted 4×4 Raised Garden Kit gives you everything you need to grow a successful raised garden! 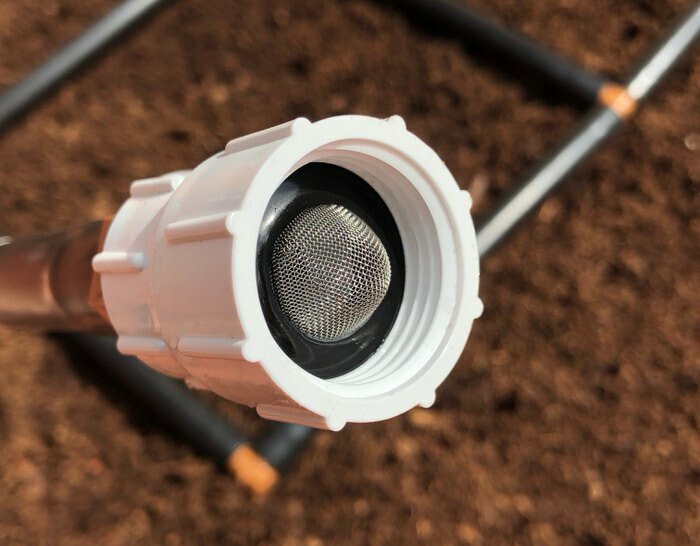 Each 4×4 Raised Garden Kit includes our durable 4×4 cedar raised garden bed, 4×4 Garden Grid™ watering system, garden hose timer, adjustable water flow valve, and heirloom organic seeds. The 4×4 Raised Garden Kit is our original raised garden kit size and our most popular. 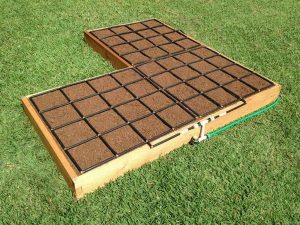 It has ample room to grow a variety of crops and still manage with ease. 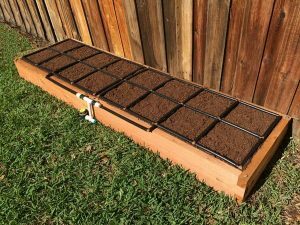 The 4×4 Raised Garden Kit is ideal for getting started in gardening or getting back your green thumb! 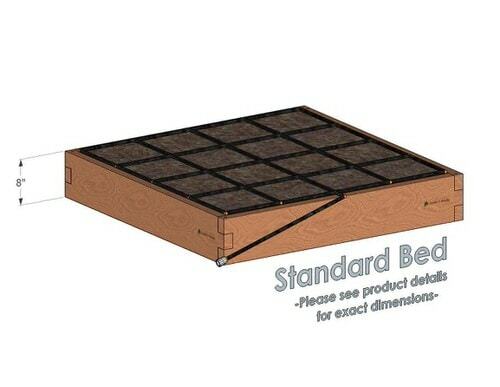 All of our raised garden kits, including the 4×4 Raised Garden Kit, are modular. 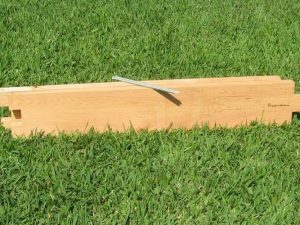 That means that over time, you can customize and expand our garden beds to create new layouts and a larger raised garden with minimal effort and expense. The best part is, our Garden Grid™ watering system makes planting and growing easier than ever with a fully-adjustable garden irrigation system and planting grid, in one! Our raised garden kits give you everything you need to grow your best garden! Complimentary organic heirloom seeds to get you started planting. Don’t forget! No tools required and it’s expandable! 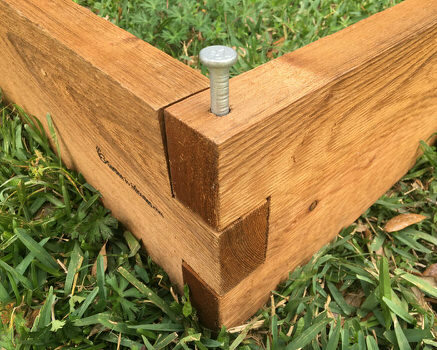 Our handcrafted Raised Garden Beds are built using 1-3/4 inch thick cedar timbers (more than twice the thickness of a standard 3/4 inch raised garden) and made with 100% solid natural cedar instead of composites! 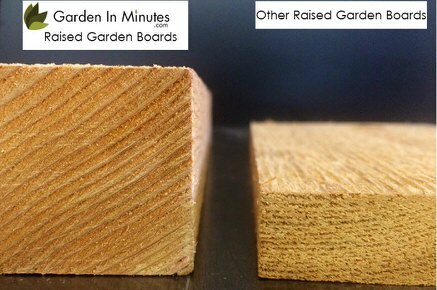 Cedar timbers are naturally rot and insect resistant, making them more durable against the elements. 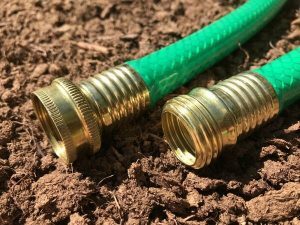 The Garden Grid™ watering system is also made with quality in mind, using FDA approved irrigation tubing that is commonly found in water purification systems! 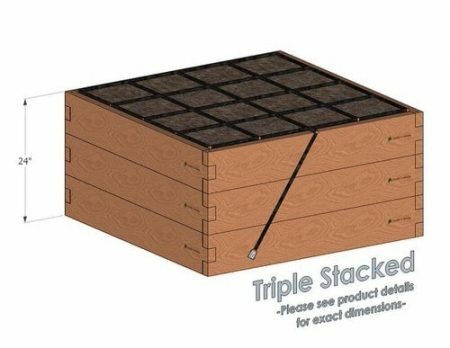 We build this way because Garden In Minutes was founded with the desire to make the most convenient, high quality raised bed gardening products available. We want you to love your garden – not just for a single season, but for years to come! Love it! 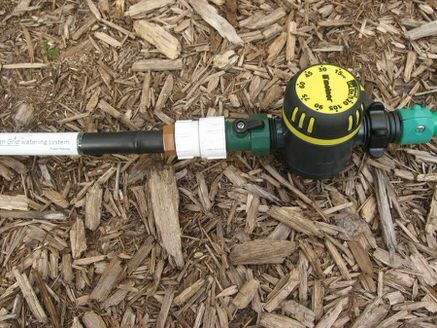 So easy to put together and the grid/ hose timer combo makes watering super easy before work! Thanks again, I’ll be back to expand for my summer garden! So far so good. I have assembled my kit in, truly, minutes. Very pleasing. I still need to fill it with dirt and hook it up to the late. Will leave a more complete review in the future. So glad our 4×4 Raised Garden Kit met your expectations! Looking forward to hearing more after your plants start growing! I can’t believe how easy this was to set up – it literally took me less than 10 minutes to do, and that time was mostly spent lugging the box to my garden area. 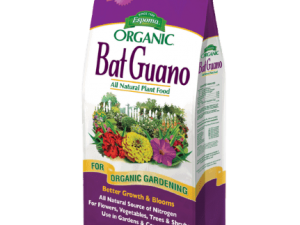 The hardest part was mixing my own square foot gardening soil – 1/3 peat, 1/3 vermiculite, and 1/3 mixed compost. So worth it though! I planted lots of vesggie and flower seeds in my 4×4 a week ago, and they are already sprouting. 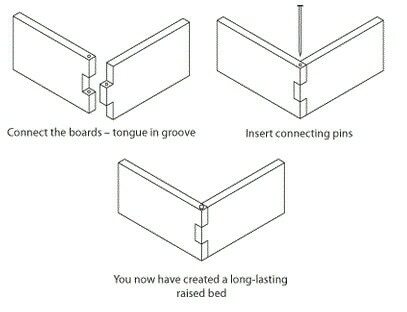 Thanks for making this easy! That’s music to our ears! We want to make the setup process as easy as possible so you can spend your time planting and growing (the fun part of gardening!). Glad our 4×4 Raised Kit was able to do that for you. 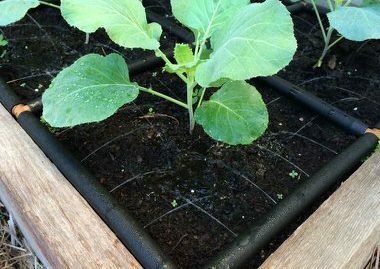 We often use a similar soil mix, happy (but not surprised) to hear that your veggies and flowers are already doing well. If you’re on Facebook, we’d love to see pictures! You can find us at Facebook.com/GardenInMinutes (or just click the icon on the bottom right of our site). 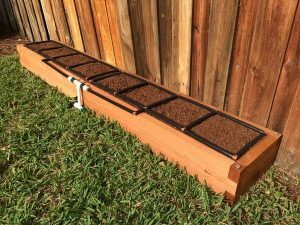 Easiest the best garden grid / watering system on the market. Only problem I had was it was not big enough, so I bought bigger. I have grown just about every veggie you can in zone 10a with this system with ease. Haha, that’s a great problem to have, Troy! 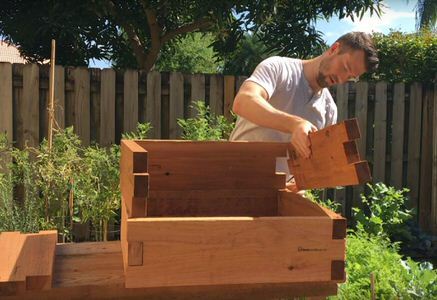 Glad you liked our 4×4 Raised Kit enough to add more to your yard. Happy gardening! This is a fantastic set-up! It really does assemble in minutes, and it looks and feels solid and well built. I will be purchasing two more! Easy to put together and works great! Thanks Janelle, it’s always great to hear that! Hope your garden this spring is your best one yet!